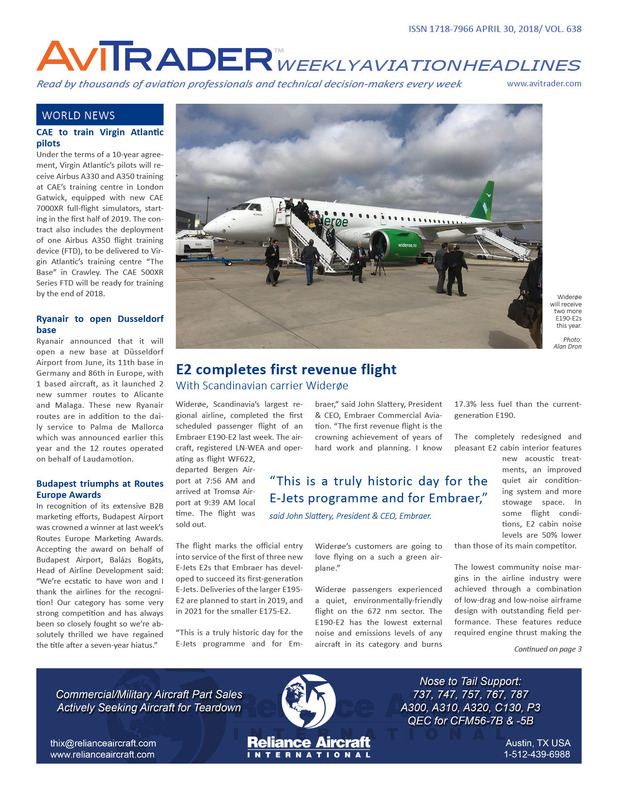 In this week's issue of AviTrader Weekly News, Scandinavia’s largest regional airline, Wideroe completed the first scheduled passenger flight of an Embraer E190-E2. The aircraft, registered LN-WEA operating a flight from Bergen Airport to Tromsø Airport in Norway. It marked the official entry into service of the first E-Jets E2.